“Therefore whoever wishes to be a friend of the world makes himself an enemy of God” (James 4:4b). Having outlined the difference between earthly wisdom and heavenly wisdom in 3:13–18, James goes on to show his audience in 4:1–3 that far from living according to the wisdom from above, they were in fact living according to the wisdom of this fallen world. Their quarrels and strife demonstrated that they were acting according to those same things that characterize earthly wisdom. The prophets in ancient Israel condemned the people of their nation for their mistreatment of the poor and for living according to the same covetousness, ungodly jealousy, and selfish ambition characterizing the audience of James’ epistle (for example, Zech. 7:10). Although he certainly would have been justified in doing so, James has not yet offered these same denouncements. He has stood with his audience as a “brother” (1:19; 2:1, 14; 3:1) and has slowly built a case against them both with direct exhortation and the indirect indictment of sin that we read in 4:1–3. Thus far, James has been merciful with his audience given the nature of their problems. Beginning with today’s passage, however, James speaks just like the prophets of old. In verse 4, he condemns his audience as an adulterous people. 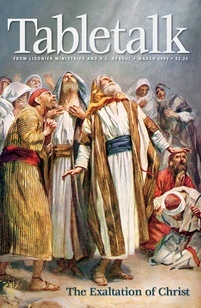 The old-covenant prophets often likened the relationship between God and His people to a marriage (Isa. 54:5), making Israel’s dalliances with idolatry tantamount to infidelity (Ezek. 16:30–34).